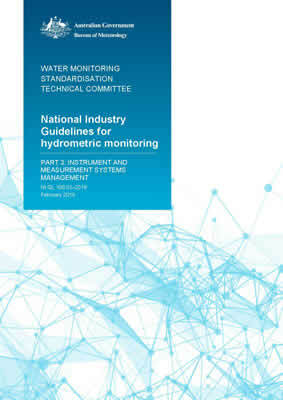 The purpose of this document is to provide guidelines for recommended practice for instruments, measurements and instrument management systems that support water monitoring operations. This guideline specifies requirements for the management of hydrometric instruments including their accuracies, resolution, sample frequency, unit of measure and calibration. This guideline applies to management of all instrumentation systems including primary sensors and standard test instruments used in the production of hydrometric data, along with the frequency and range of calibrations.